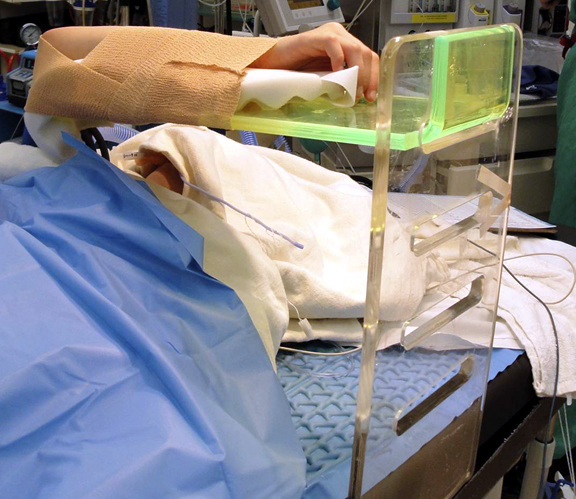 The C-Thru Arm Ladder is an adjustable arm support to keep the upper extremity out of the way during surgical procedures of the hip. 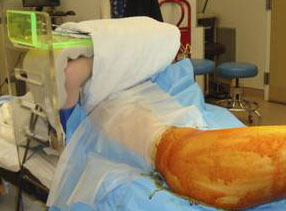 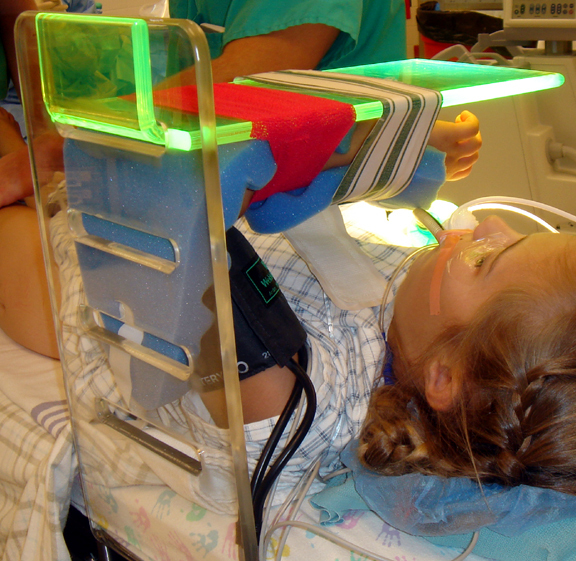 This avoids the need to strap or tape the arm across the patient's chest or abdomen, a maneuver that is insecure and allows the limb to slip during the procedure. 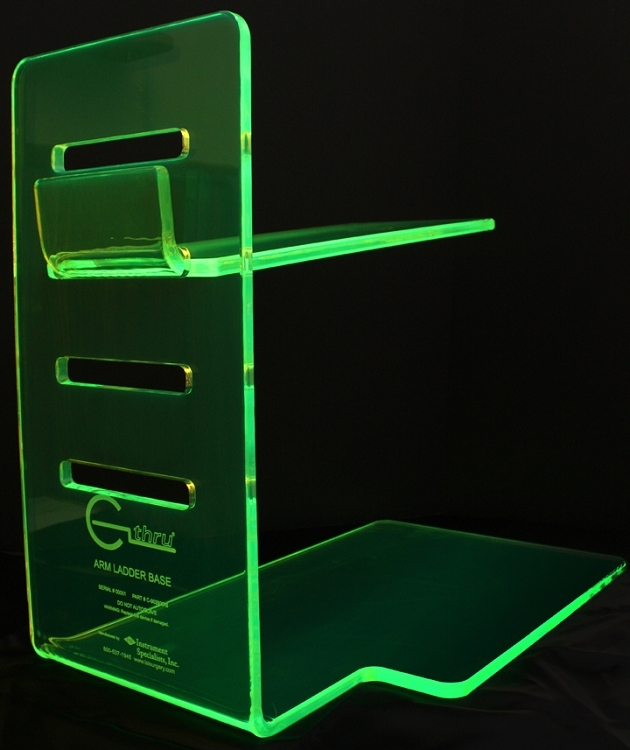 Made of bright green acrylic, the C-Thru Arm Ladder is easy to use and clean.